The Costa Blanca has for many years been one of Spain’s main tourist areas. It was one of the original “sol y playa” (sun and beach) destinations for the north Europeans when mass tourism started in the 1960s and 70s. It was when the Brits, Germans and Scandinavians discovered the delights of Benidorm, Calpe and Jávea and where a week in Benidorm was marketed as a cheaper alternative to Blackpool or Bornholm. A second phase of tourism developed and that is what is commonly called, residential tourism. Yes, from the 1980s onwards hundreds of thousands of Europeans bought a second home on the Costa Blanca. 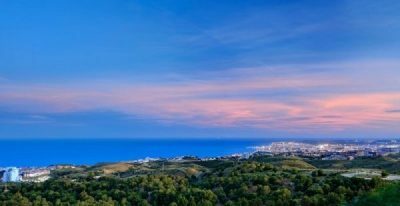 So today all along the Costa Blanca there are two distinct types of tourists on the Costa Blanca – those who are enjoying a short “package tour” and those who live on the Coast for a greater or smaller part of the year. Indeed as the tourists have become more sophisticated and more “adventurous” there is now a third type – those who have bought flight-only tickets and have made their own arrangements and book their accommodation privately either direct to hotels or in villas and apartments. The Costa Blanca caters for all three types of tourists quite superbly. The Costa Blanca is normally split into two separate regions when describing it – Costa Blanca North (which is considered to be Alicante and north to the border with the Costa Azahar and the Costa Blanca South which includes Santa Pola, Guardamar, Rojales, the inland Vega Baja and Torrevieja. Torrevieja is a special case in many ways as it has very little package tourism from outside Spain but is one of the very biggest examples of residential tourism. In the early 1990s when residential tourism was exploding, Torrevieja was usually described as the prime example of a “boom” town. Indeed it’s population doubled from 50,000 to over 100,000 in just five short years. The overwhelming majority of the new torrevejenses were north Europeans. 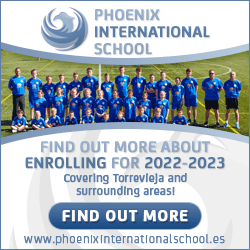 All around Torrevieja there were smaller towns increasing in size at a dramatic pace – Orihuela, Rojales, Benijofár, Guardamar, Los Montesinos and Gran Alacant in Santa Pola. When the property bubble exploded in 2008, the populations plateaued and the house prices tumbled. The Torreviejas of 2003, 2009 and 2016 are three very “different” towns. Going north from Alicante (which itself is more of a working city and an is largely untouched by residential tourism from outside Spain), there is Villajoyosa (mixed), Benidorm (hugely popular with the Brits) Albir/Alfaz del Pí (Norwegian) Altea (mixed), Calpe (with a strong German presence), Jávea (very mixed) and Dénia. It is an over-simplification to call any town ONE nationality or the other but you only need to stroll around the towns to see whose money the shopkeepers and bar owners are targeting! Benidorm is well covered elsewhere on ThisIsSpain and there is now even a sister site www.thisisbenidorm.info However, to give an example of the differences between these towns which might seem to the outsider as very “similar”, this municipality of less than 100,000 residents has more bed nights on any one single night of the year than Torrevieja has on all 365 in total. Benidorm was one of the original “Sand, Sea, Sun and S..” resorts and still has a special place in many Brits hearts and where tens of millions of British tourists have spent at least one fortnight in the past fifty years! A great many come back every year and nowadays a huge number spend several months of the year here – especially the senior citizens in the winter months. As I say in 2014, I started www.thisisbenidorm.info You will find much more about the town on that site. The regional papers now all have online editions and you can keep up with all the news with www.coastrider.net (Coast Rider), www.costa-news.com (Costa Blanca News) and www.roundtownnews.com (Round Town News) and The Courier in English. There are www.vikingposten.no and www.spaniaposten.com in Norwegian. There is Costa Blanca Zeitung and www.costanachrichten.com in German. www.halloonline.com is in Dutch. There are various even more local editions too such as The Buzz, Round Town Times and the British Gazette in Benidorm. All of the towns have English-language portals, usually with masses of up-to-date information and forums. These include Torrevieja, Alicante, Gran Alacant, Benidorm, and Jávea. They also have Facebook pages and groups to interact on. Yes, whatever you are looking for in Spain, it is likely that you can find it on this coast or just inland. Enjoy!